An account by three black college going women on why they came to OU and why they chose to stay. Dajah Howard adorns her four ear piercings with bright, diamond-studded earrings. She doesn’t like to take them off when she goes to sleep. It’s too much work for her. In Wilson Hall, one might think that a tiny 14- by 8-foot room cannot be decorated well enough, but in that space, Howard has included a touch of home. She has draped golden-colored Christmas lights that illuminate her old futon and her twin XL bed, which is covered with sheets in her favorite colors (purple and pink). Adjacent to her study table is a plastic hanging jewelry organizer that decorates her wall. More than 30 pieces of jewelry sit in it, but she keeps wearing the same ones almost every day. Howard is happy she has made a lot of friends in her college despite the black student community being miniscule. In 2017, there were only 1,353 African-American students enrolled compared to 19,030 Caucasian students, according to Ohio University’s website. 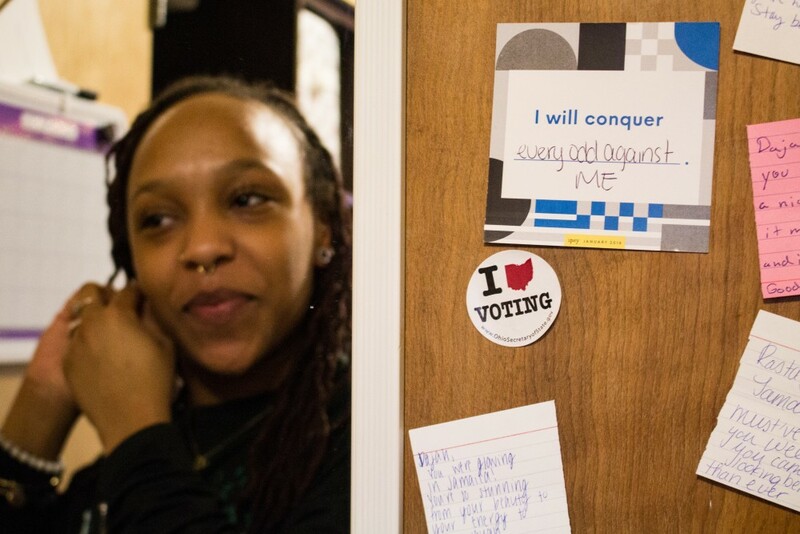 During finals week her sophomore year, Rasheedah Beatty was called racial slurs outside Schoonover Center while she was walking back home at night with friends. A pickup truck full of white men — and the things they shouted — had a damaging experience on her, and because that truck was covered in OU stickers, she worried they were peers of hers. Out of the many other forms of discrimination, that’s only one encounter of what she goes through daily. Beatty’s and Howard’s stories of finding circles of friends and a place to call home in a predominantly white institution mirrors that of many black students, who rely on and garner strength from each other. 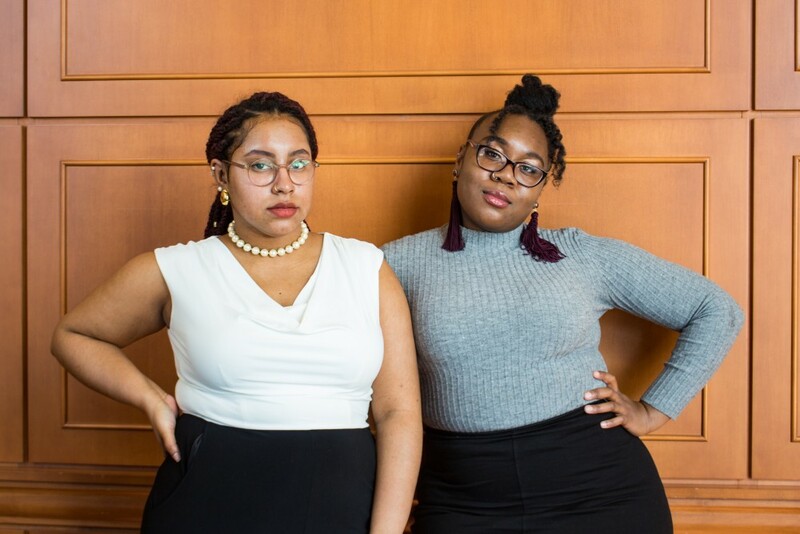 To get through professional settings, which are mostly dominated by white people, they have to switch between their identities because being black in white spaces is almost like living in two different worlds, Beatty said. While wearing a faded black colored T-shirt with a red Ohio State emblem in the middle, Howard said she faced her share of rejection when she didn’t get accepted to OSU. Her dad had graduated from there; she had attended a summer program there. And despite being from the south side of Columbus, she wasn’t really disappointed because she couldn’t decide on going there anyway. The rejection made it convenient for her to make a choice. When she was 17, Howard received a letter in the mail that invited her to join a tradition of more than 200 years. She visited and was offered a lot of scholarship money to attend OU. And with an engineering program that is ranked 37th in the nation, according to on the U.S. News & World Report, how could she refuse? Howard chose engineering because she wanted to work with biotechnology and create more efficient medical devices. She chose to not to go to an historically black college or university, like Howard University, because they didn’t have a bioengineering program to choose from or didn’t offer her enough money. Fast forward 1 1/2 years, and she is the president of the National Society of Black Engineers at OU. Aissatou Boye, Howard’s best friend, had also wanted to go to OSU but accidentally applied to OU because she didn’t know the difference. Howard and Boye first found out about each other before they actually came to OU when they were a part of a GroupMe chat called “Shade Room.” The name, more familiar among the African-American community, is inspired from a celebrity news and gossip website. Black students made the chat to help newly admitted black students. The group members were added based on who knew whom. The welcoming friend group introduced Howard to Boye, who lived more than six hours away from her. That group, and her friends, turned out to be the biggest support system for Howard at OU. And because of them, she felt reassured about her choice as she found her best friend fall semester of her freshman year. Boye, who is a junior studying sociology-criminology and African-American studies, lived in Treudley Hall during her freshman year — right across from Howard in Ryors Hall. Boye didn’t know anyone when she came in, unlike Howard, who had one cousin who attended OU. Howard didn’t even meet that cousin until near the end of her freshman year during Moms Weekend. Dajah Howard performs at Martin Luther King Jr. Brunch with Athens Black Contemporary Dancers. Howard and Boye met each other briefly in The District on West Green dining hall. She had wanted to talk to her, but Boye was always engaging in conversation with someone else when they saw each other walking around on campus. Soon, they started hanging out together all the time and performed dances for the Athens Black Contemporary Dancers. Howard admires Boye’s spirit. She has seen Boye get mad or sad only once or twice. Boye has three jobs: as a university tour guide, as a LINKS peer mentor and as a volunteer with Cultural Connections. All of them have one thing in common: persuading prospective students to attend OU. Not only that, but she also makes sure through her one-on-one conversations, as a mentor, that students feel comfortable at the place she is happy to call her home, in turn contributing to the retention rate. Beatty also feels that she has found a group to which she belongs at OU. Through her connections with the black student population at OU, she said she has found women who will become her future bridesmaids and her children’s godmothers. Beatty does not take the friendships that she has gained for granted. In any case, Beatty wouldn’t give up her education because of someone else’s ignorance. If anything, those slurs in her sophomore year only motivated her to work harder and strive for more success. “I’m not afraid to go above and beyond,” she said. In 10 years, Beatty sees herself as the creative director and writer of a major magazine publication, where her passion would be centered on storytelling, especially for marginalized groups of people. But mostly, she wants to be happy. Although Beatty, Howard and Boye found a group of friends as they got used to the college life, they still occasionally feel constricted to their identities in a predominantly white university, where Caucasian students constituted 78.78 percent of the entire student population in 2017. And because of that, the black students form a tight-knit community that tends to flock to each other instinctively. Most of the time, as a journalism student, Beatty find herself as one of the few black women in a class of 200. She loves talking about her culture but also feels that people expect her to be the spokesperson for any questions that pertain to “blackness.” She said this stereotypes black people to all be the same when they’re not. But no matter who she talks to, Beatty tries to remain bold. Howard also finds herself “code-switching,” a term used to describe the cues that “provide some kind of either social distance or social proximity to the people with whom you're speaking,” according to NPR. Rasheedadh Beatty poses for a portrait with Clarke Kellum at Martin Luther King Brunch on Jan. 21. Subconsciously, Howard’s tone changes depending on the people she is surrounded by. She starts to speak faster and uses more black vernacular around her close friends, such as words like “fried,” which refers to someone being or acting crazy. She speaks differently in professional situations, which are mostly dominated by white people. “For us, it happens unconsciously, so we never think too much about it,” Howard said. While it has been hard for Beatty to find her own place and her “hOUme,” she knows she is more than black in a sea of whiteness, she said. At the end of the day, Beatty is not afraid to work twice as hard to make sure that she gets the same education as everybody else. She came awfully close to leaving OU several times, but she stayed because of her friends. Her personality is contagious, almost how a coal glows and burns when it is full of energy, spreading the heat around to the other pieces of coal. Like that burning coal, her friends feel that her energy strengthens them all since she was the one who introduced and kept their friend group together. 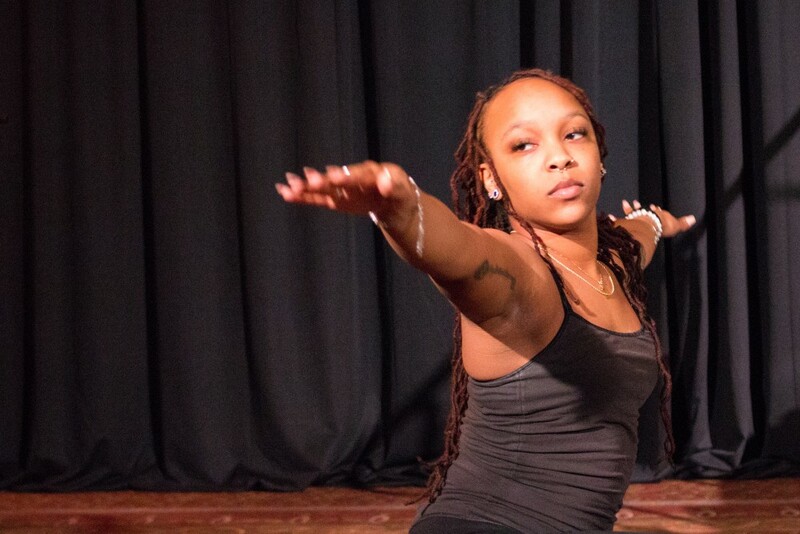 Tristen Davis, a junior studying criminology, knew Howard all through middle school but never got a chance to connect with her until the first semester of their freshman year, when Athens Black Contemporary Dancers brought she, her friend group and Howard together. “She is the main person that I go to for everything,” Davis said. Finding friends for Howard has helped her solidify her identity. Her identity is like her jewelry: She could choose to change her earrings every day or every hour, but she chooses not to because she knows that, unlike her jewelry, she cannot change her identity. She is who she is, and her choices are her choices.